All objects have an XYZ coordinate position. With RailCOMPLETE a track (alignment) can be used as a linear referencing system for objects, and in addition all objects can be moved freely around in 3D using the basic CAD system features. An object that belongs to a certain alignment has a linear position expressed as the traveled distance along this alignment (from a given linear start position). 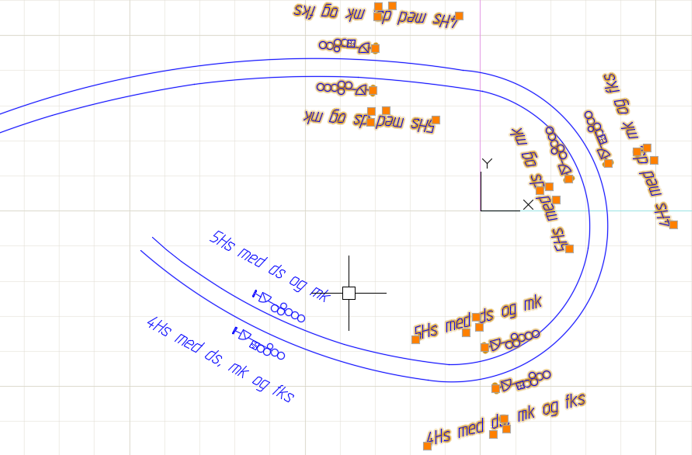 Combined with a relative distance sideways and vertically from the this alignment, there is a correspondence with the usual CAD system XYZ coordinates. Any alignment may be tagged as a “child” of a “parent” alignment, such that this parent can act as a common linear referencing system for objects belonging to several tracks within the same corridor – this is easy to set up in RailCOMPLETE. An alignment is its own reference alignment when no parent alignment has been assigned. See illustration below. 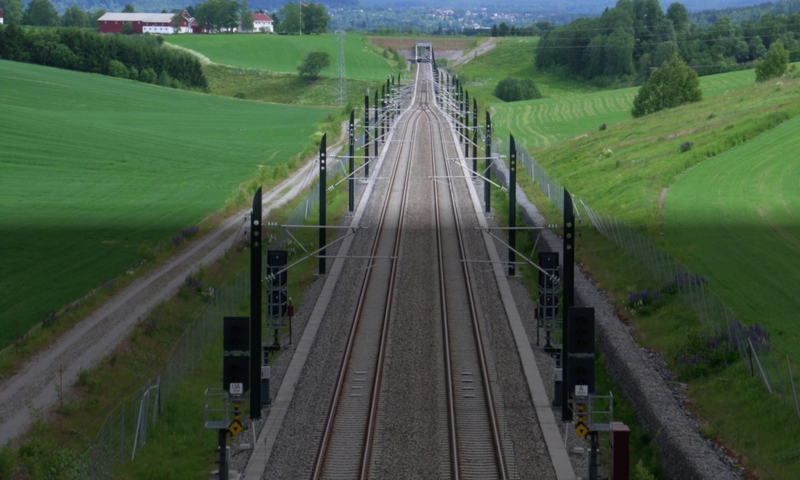 Any alignment may be used as a linear referencing system, for instance a road, a cable duct, an earthing wire or a contact wire. There can be many repetitive objects along an alignment. For instance, a catenary mast with foundation can be found for maybe every 60 meters. Perhaps a signal with corresponding axle counters and balises for every 800 meters. Wall-mounted signs for escape distance in tunnels for every 25 meters. 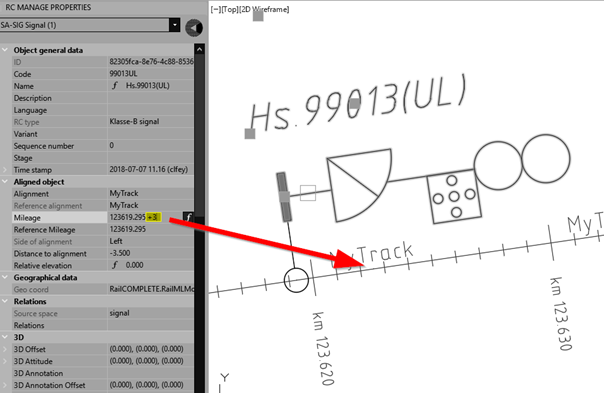 With RailCOMPLETE, the track (or any other appropriate alignment such as an escape route) is used as a linear reference. If you want to move one or more objects a few meters, just enter new mileage or a delta value and the objects move along the alignment – see illustration above. RailCOMPLETE allows you to copy a group of objects and paste them repetitively with a given distance between copies. If you want to copy (or duplicate) a signal group 10 times by 800 meters distance, this is done in a few moments. Internal relationships between objects in such a group – e.g. a connection between balises and their associated light signals – is established in the new group(s).